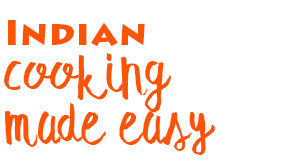 Indian Cooking Made Easy has been launched by Mrs. Meera Gupta, a cook by hobby, not profession. Her extreme love and passion for food, especially Indian vegetarian food, has led her to experiment with different cuisines, eventually resulting in a wealth of interesting and delicious fusion recipes over the course of many years. The most important philosophy that governs Meera’s cooking practice is simplicity and that’s what you will notice in all her recipes. Using this site as a platform, Mrs. Meera Gupta will share with you her personal cooking secrets that lend that extra something to whatever she dishes up. 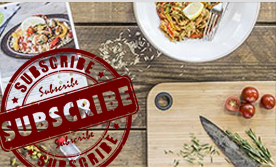 Hone your cooking skills through written recipes and video demonstrations. You can also get in touch with her by e-mail for a personal response to any query you may have. Indian cooking has never been so easy or, for that matter, so much fun before! India is one of the few places in the world where meats have always been treated as an occasional delicacy in the average household rather than a daily staple. Besides, there are countless households that never cook meats, and never miss them either. Whether you are in the plains of Western and Central India, the coastal regions of Southern India or the mountains up north, you will get to sample an array of vegetarian dishes that make a complete meal with either rice or local breads. What’s even more exciting is that every region of this large country has its own cuisine, with its own herbs and spices and styles of cooking. Consequently, there are 20 or more ways of cooking each of these items that you may have heard of but given little thought to before: lentils and beans, potatoes, brinjal, spinach and Indian cottage cheese (paneer), just to name a few. The cooking is surprisingly simple at times, apart from being versatile, wholesome and nutritious and a lot of fun! Once you begin exploring and experimenting, there will be no end. So, if you thought that good health did not go so well with variety and good taste, join us and be prepared to prove yourself wrong!